Have you noticed that most of the newer Ford cars and SUVs on the road no longer have those old school metal bumpers that stick out? Instead, these newer cars have bumper covers on the front and rear. What is a Bumper Cover? A bumper cover has the same functionality as a bumper, but it’s more integrated into the body of the car. The front and rear bumper covers on some Ford models have an appearance subtle enough to make some people believe that these cars lack bumpers. Nothing could be further from the truth. You may think that your front and rear bumper covers aren’t as sturdy as the old school ones, but don’t let their streamlined appearance fool you. Ford aptly designed each of its bumper covers, along with the impact bar behind it, to absorb a lot of impact in the event of a crash. 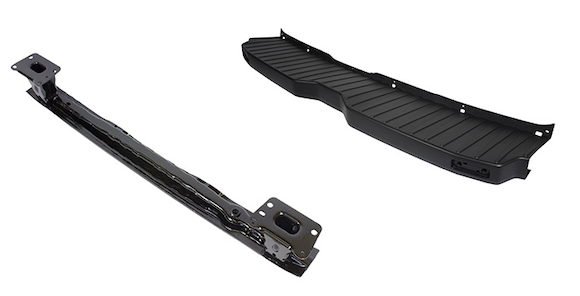 The impact bar is connected to the frame of the car, and its main purpose is to absorb as much impact as possible in order to protect your car. The bumper cover is affixed in front of the impact bar for aesthetic purposes. It provides some protection in a crash, too. The bumper cover and the impact bar work together to provide maximum protection from impacts and to create a streamlined look on the front and rear of your Ford. Sometimes one of your bumper covers will get damaged. If that happens, you have two options: repair it or replace it. Which option is the best one, though? It depends on the level of damage there is on your bumper cover. If its structural integrity is affected, then it needs to be replaced. If the damage is purely cosmetic, then you might be able to just repair it but chances are it won’t look as good as you want. 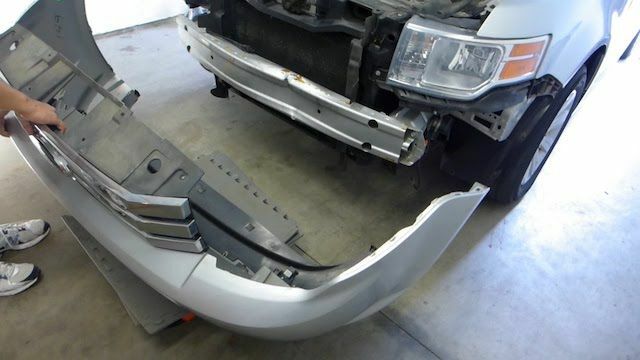 This article will help you determine whether you should repair or replace your bumper cover. You can skip the shop and replace your bumper cover at home if you have all the necessary tools and a proper tutorial. If you look up your Ford model, you might find a good tutorial on YouTube.